“So, yeah, I’m still traveling with my friends,” Martha said. She was walking down the TARDIS corridor talking to Tom Milligan on her mobile. She smiled. Just then, the Doctor came around the corner. The Doctor stopped short and feigned anger while Martha went back to her conversation. Interested, the Doctor strolled over and leaned in. Martha shot him a look and tried to wave him away. “Is that Tom?” he asked. “HI TOM!” the Doctor screamed. He winked when Martha let out an exasperated sigh. “Yes, that was the Doctor,” she said. She paused a moment and then looked at him. “Yay, I feel so loved,” the Doctor said happily. “You are such a goof sometimes, you know that?” Martha said as he snickered. The Doctor gave her a hurt look and then grinned. He gave her a concerned look when her face fell. “Oh, do you really have to go?” she said sadly. “Oh, okay, I guess I’ll have to let you go then,” she said. The Doctor leaned his head against her shoulder. Martha fought to keep from laughing when his bottom lip trembled and he gave her doe eyes. “Okay, just call me back soon, please? I miss you so much!” Martha said. She bit her lip when the Doctor put his cheek against hers and mimed crying. She hung up the mobile. Martha rolled her eyes and smiled. “Well, thank you for echoing my feelings,” she said, giving his cheek a pinch. “So, how is Milli Vanilli, is he taking good care of himself?” he asked. “Milli Vanilli? Only you would think of that,” she said. Martha smiled when the Doctor began to croon the chorus ‘Girl, You Know It’s True’, to her. She applauded lightly when he finished. “Nice, very nice,” she said. “Well, good for him. I’m glad he’s helping to make a difference in the world,” the Doctor said. He snickered when Martha gave his arm a playful slap. Martha took his hand and he led her to the wardrobe room. Martha looked down at her outfit. She and the others were dressed in Time Lord robes. She looked at her friends. All of them were dressed in bright orange robes and silver skullcaps. The Doctor was the only one who wasn’t uncomfortable and sweaty. “I am not wearing this,” Donna said to him. “You have to, it’s tradition,” the Doctor insisted. “Oh yeah, then why is this the first time I’ve seen you wear it?” Donna challenged. The other two women gave him pointed looks. He shifted uncomfortably. “Well…they’re….only for special occasions like today,” he said. “Well thank God for that because you look poncey in them,” Donna said. “No, I like my word better,” Donna said. He rolled his eyes and sighed when they three women snickered. “Lead the way, poncey-boy,” Rose said. The Doctor eyed her as all of them bent over laughing. “I’m beginning to think it’s a bad idea letting the three of you hang out together,” he muttered. “There we go,” the Doctor said, as he finished lighting the fire. They were sitting around a small campfire in the campfire room. The TARDIS had realistically portrayed a moonlit night right down to the crickets chirping. “Great, now we’ll be ten times hotter than we already are,” Donna muttered. “I’m not hot,” the Doctor said. “Well, that’s because you have a lower body temperature than we do,” Rose said. Before Donna could say anything further, he stood up. “Well, I believe I will kick off these proceedings with a small speech honoring our revered founders,” he said. He cleared his throat and spread his arms open. He lowered his arms as the three women clapped. “Okay, Rose, your turn,” the Doctor said, pointing to her. “Me? I don’t know these people,” she protested. “Just say a few kind words. It’s tradition for everyone around the fire to say something,” the Doctor said, sitting back down. Rose looked at Martha and Donna who shrugged. She stood up and stared into the fire. She quickly sat back down while the others applauded. “Martha, you’re next,” the Doctor said. “I don’t know what to say,” she protested. “Just say a little something,” the Doctor urged. She sat down as the others clapped. “Alright, it’s my turn, is it?” Donna said, getting up. The Doctor shot her a warning look, which was completely ignored. “Donna Noble!” the Doctor said as Rose and Martha laughed. She gasped when the Doctor jumped up, seized her hand and set her back down. Donna looked at her friends and winked while the Doctor walked away muttering to himself. He returned a few moments later carrying a silver platter in his hands. On top of the platter was a huge hunk of grey colored meat surrounded on three sides by small purple and red berries. All three women made faces when he sat it down on the ground in front of them. “What is that?” Martha asked. The three women stared at the platter. “Anyone wanna go first?” Martha said. “Not me, I don’t trust meat that looks like it’s rotten,” Donna said. Rose hesitated for a moment and then tentatively reached out and pulled off a bit of meat from the side. The two women watched closely while she put it in her mouth and ate it. She chewed for a couple of seconds and then her eyes widened in delight. Donna and Martha looked at each other, picked off bits of flesh and ate them. They looked at each other and nodded in agreement. “Thank God the thing tastes better than it looks,” Donna said. They looked over when the Doctor came up carrying another platter with a pitcher and glasses on top of it. “It’s good,” Rose said as the others nodded in agreement. “Well, it’s not like we could tell the difference anyway,” Martha said. The Doctor tasted a bit of the meat. The three women shook their heads. All of them picked up a red and purple berry and tasted them. “Oh my God, these are good,” Rose said. “Yeah, you’ve got some good food on your planet,” Martha agreed. Rose and Martha giggled when the Doctor gave Donna a look of death. “Thanks, I think,” he said to her. He took another piece of meat and popped it in his mouth. Suddenly, the room was filled with the sound of drums and flutes. She took a swig of Bombleberry juice. As she drank, she glanced over at the Doctor and noticed he was staring off into space with unshed tears in his eyes. Her heart broke for him and she scooted closer. The Doctor looked at her. The Doctor gave her a sad smile and put his arm around her. Donna and Martha glanced at each other, got up and went to his side. Martha settled down behind him, put her arms around his neck and put her cheek against his while Donna sat down on his other side. The Doctor beamed. He put his arm around Donna, closed his eyes and basked in the love of the people who cared about him. The three women sat around the Doctor, taking in the simulated fireworks the TARDIS had provided. 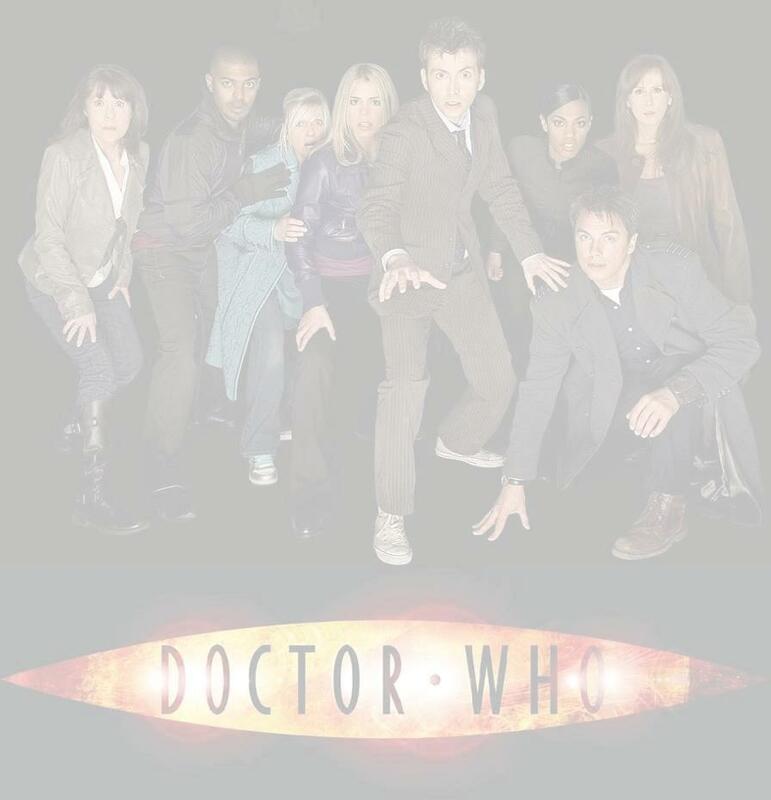 None of them had left his side since the Doctor became emotional, wanting to let him know that they were there for him. They had finished off the Tafleshrew meat and berries and had even done a bit of dancing to the music. Now all of them lay there exhausted just taking in the show. Rose looked over at the Doctor and studied his face as he watched the fireworks. He looked at her, smiled, and kissed her lips. The Doctor gave her a wicked grin. He snickered when she punched him in the arm. “Alright, almost anything then,” she said. She snuggled in close to him and he put his arm around her. She let out a yawn and closed her eyes. The last word was barely a whisper and the Doctor watched as Rose drifted off. He repositioned himself and gathered her into his arms. She opened her eyes briefly and with a soft sigh, closed them and went back to sleep. Martha glanced at her friend. “Good night, Doctor,” Martha and Donna said in unison. The Doctor turned. They watched while he walked out the door with Rose in his arms and then both of them leaned back and watched the rest of the fireworks.